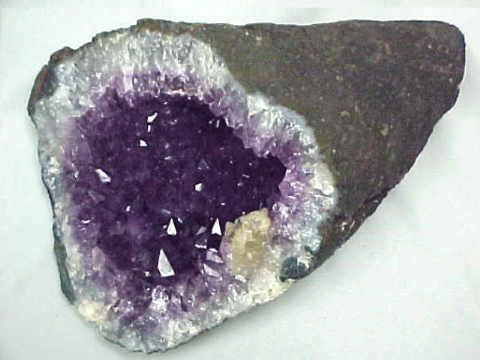 Everyone here at mineralminers.com appreciates the metaphysical properties and healing energy of our minerals, crystals, and gems. Much of our inventory is from our own mining operations and has not ever been handled by others, thus assuring that the metaphysical properties of each item are as pure as possible. When we receive each new shipment, direct from the mines and lapidary shops around the world, the first thing we do after carefully unpacking each item is to wash it with fresh water, and then let it dry on large wooden tables in the back of our warehouse. Photographs and descriptions of each item are then placed up on our website. These items are sold and replaced on a daily basis, with about 50 new and unique items being placed up on our website every week. Be sure to see our Most Recent Additions! When you select a mineral name in our Mineral Inventory and Factsheet Index, you will be presented with an information page on that mineral giving some of its metaphysical properties and discussing it's physical properties, occurance, diagnostic features, uses, and history. The metaphysical information on these pages is not meant to replace any medical treatment; we offer it with the hope that it will be of interest to those who visit our website. For those who desire more in-depth metaphysical information, we offer a selection of metaphysical books. If you are looking for metaphysical tools, massage wands, or some other particular item you might try using our inventory search. Click on the image at left to enter directly into our Virtual Gallery of mineral specimens & crystals for all minerals, complete with images, descriptions and secure SSL on-line ordering. This page will take a little longer to finish loading as it contains all of our on-line selection of mineral specimens & crystals for all minerals! These are sold and replaced on a daily basis, so do come back often! To see our mineral specimens and crystals for a particular mineral variety, visit our Mineral Inventory & Factsheet Index. This index is an alphabetical list containing every mineral variety in our on-line inventory, with links to images of our available mineral specimens, crystals, gems, jewelry, spheres and crystal balls, lapidary and facet rough, and natural gift items for each mineral listed in this index - all with secure SSL on-line ordering. There also are links to information pages on the different minerals giving their physical properties and discussing their occurance, diagnostic features, uses, history and metaphysical properties. Would you like us to inform you when we add new items to our Virtual Gallery? We have a very large inventory at our mineral warehouses, so let us know if you have a special request. Please contact our webmaster or our 'site' geologist with any questions or comments. See also our pages on crystal balls, polished crystals, earrings, mineral spheres & eggs, crystals, gemstones, facet rough, lapidary rough, jewelry, massage wands and other handcrafted items, and our spectacular decorator mineral specimens and giant collector crystals.